Quentin Tarantino’s 1997 Jackie Brown is the only film on his resume that didn’t come straight from his brain. The flick is an adaptation of Elmore Leonard’s Rum Punch, and the novelist penned a prequel of sorts to the book entitled Switch. Set 15 years before the events in “Jackie Brown,” story follows career criminals Ordell and Louis as they team up to kidnap Mickey Dawson, the wife of a corrupt Detroit real estate developer. When the husband refuses to pay the ransom for his wife’s return, the ex-cons are forced to reconceive their plan, and the angry housewife uses the duo to get her revenge. The producers have already signed Mos Def (Be Kind Rewind, Hitch-Hikers Guide to the Galaxy) to play Jackson’s role and John Hawkes (Winter’s Bone, Lost) to play DeNiro’s. If you haven’t seen it, I highly recommend picking up Jackie Brown on BluRay. 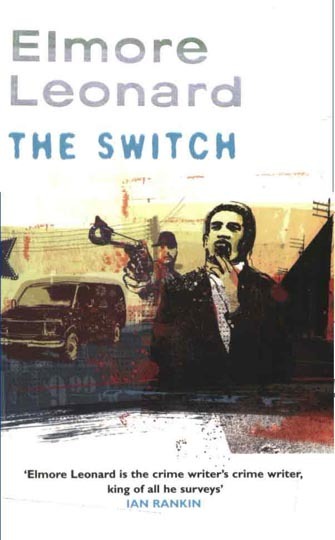 You can order a copy of Switch for your reading pleasure right here. Comments for A “Jackie Brown” Prequel Is In The Works are now closed.